Leo Scarf is a clean, modern and functional responsive Prestashop theme with unique and creative layout design. Leo Scarf is specialized for Fashion, Scarf, Apparels, Suits, Bags, Watch, Shoes, Clothes, Boutique, Minimal, Accessories and multipurpose store. Its responsiveness makes it look beautiful and professional on any devices. 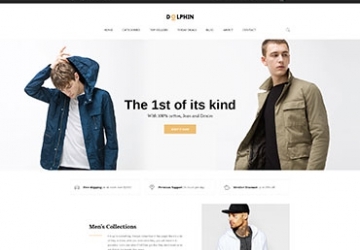 What’s striking most about this premium Prestashop theme is the captivating full-width slideshow, where you can showcase the best of your store. Moreover, the powerful mega menu a bit on the right side to create the harmonious balance with the impressive logo on the left permits you to display many product categories with images, which will maximize your shop’s functionality and lead your client to their desired items quickly. What is more, Leo Scarf is also outstanding with the non-ordered but creative banners. You can display hottest items to make your visitors enable to take their eyes off your pages to continue scrolling down to the below part of your web page. Thanks to the outstanding Leo Feature module, each of your product is equipped with module features like Quick view, Add to Cart, Add to Compare, Add to Wishlist so your clients can shop right on the home page, control and manage their cart intelligently. Specially, Countdown module for Deal of the Week will facilitate your marketing campaign, rush your clients to buy products and hence, boost your sales. Leo Scarf Prestashop theme is integrated with Leo Blog module so that you do not need a solution from a third party but still con SEO your page better with useful article and blog posts. Last but not least, Leo Scarf comes with 7+ types of Product layout pages and various types of Product detail page, giving you more choice to display your products to your clients in the most effective and intuitive way. 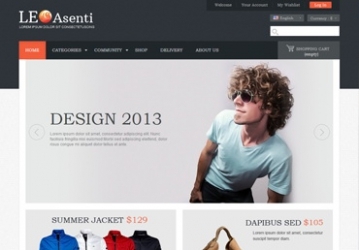 What makes Leo Scarf Responsive Prestashop Theme special?